This entry was posted in CCAC, Health Care Professionals, Health System, Local Health Integration Networks, Long Term Care and tagged Changebook, LHINs, Ontario Election, Ontario election issues, Ontario Health System, Ontario PC Platform, PC platform, Tim Hudak. Bookmark the permalink. 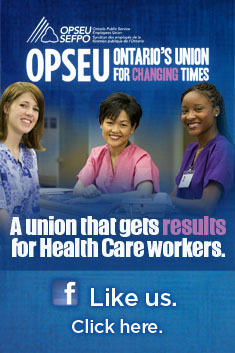 While I do not trust Hudak, as a Health Care Employee the LHIN’s should be most definitely disbanded. (just my opinion) Provincial auditor Andre Marin berated them as being borderline corrupt, with next to no public input on any decisions made with regards to the areas they “service”. The pseudo “public input meetings” and requests were just window dressing so they can claim they had public input. NO LHIN’s! If you don’t agree with me, perhaps check public input in Welland, Port Colborne, Fort Erie and St, Catherine’s and see how they feel about these “wonderful LHIN’s”. No thank you. Changebook should be called cookbook because Tories want to steal our jobs. I’ve been shoved into a job I never wanted, never trained for, not my field! So what would I care. The gov’t will do what they want! Compete for your job give me a break. Fighting fraud is about the smartest thing the Tories have said but I doubt it will go any further than asking for ID. I know the liberals don’t care about fraud.… at least in one Ministry and I don’t think the Tories care either. Both the Tories and liberals talk of combating fraud but neither has really given support or ability to those charged with that duty. AND what’s with these campaign slogans? Common Sense Revolution (not); Changebook…. Kinda sounds like a fancy name for purse of which the Tories will pocket the $ on the backs of the hard workers and the tax payer. I’m done with politicians praising OPS workers then turning their backs on them. Is not an employee with the OPS a tax payer too? And a vote? So come a new election who do you vote for? False praise from the liberals or empty promises from the Tories! ?